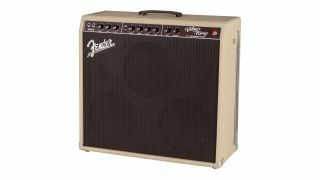 Fender is marking two decades of the Vibro-King with a 20th Anniversary Edition amplifier. The Anniversary Edition will be available in black, blonde and brown colourings with the option of silver, oxblood and wheat grill cloths, and will feature hand-wired circuitry. For more information, visit the Fender website.